Please click here for the briefing slides and here for the User Guide. Congratulations to our following students for winning 1 Gold, 3 Silver and 2 Bronze. CHR is proud of you. Congratulations to our 3 students for winning the 1st Runner-Up & Most Creative Award. Please click on this link to find out more on the schedules. Please click here for the Sec 2 Common Test Schedule. A gentle reminder for parents to book the slots for the PTM via the LMS for the following groups of students. Please click this link to find out more on the Sec 4 & 5 preliminary examination schedule. Please click this link to find out more on the Sec 4 & 5 intensive remedial schedule. 10 Apr 17: CHR welcomes the visit of Boonwattana School (Thailand) from 3 - 9 Apr. Please click here for the briefing slides for the Sec 2 PTM. Please note that registration will start at 8.15am. The briefing will start at 9am. Thank you. Please click the following links for the presentation slides from the Sec 4 PTM. Please click the following links for the PTM. Please click this link for the updated Chingay 2017 schedule. 1. Congratulations on completing your secondary school education. The ‘O’ level results will be released on 11 January, Wed at 2pm . You will need to report to the school hall by 1.50pm in your full school uniform , school shoes and appropriate hairstyle . Please note that coloured or dyed hair are not allowed. 2. If you are unable to collect your results personally, you may ask your parent / guardian (must be 21 years old and above) to collect them on your behalf. Please provide a letter of authorization and inform your FT about it. 3. We wish you all the best in your ‘O’ level results! Please note that registration will start at 6.15pm, followed by briefing in the hall at 7pm. Thank you. Please note that registration will start at 7.45am, followed by a briefing at 8.30am. Thank you. Kindly report to the school hall by 1.50pm in full school uniform,school shoes and appropriate hairstyle. Please do note that coloured or dyed hair are not allowed. We wish you all the best in your 'N' Level results. CHR Highlights Issue 4 is out! Click on the link to access it! Please click here for Sec 2 streaming slides. Please click here for eStreaming user guide. Please click here for the Parenting Programmes in Term 3. 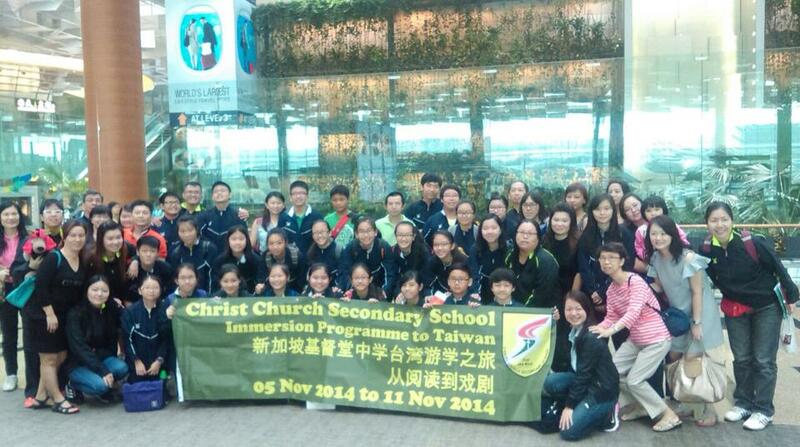 We warmly welcome our visitors from SMK Sultan Abdul Jalil School (Kluang) to CHR from 27-29 Jul. Please click on this link for the examination schedule. We would like to welcome your child/ward back to school on 27 June. Kindly ensure that he/she comes in proper attire, submits holiday homework, report book and bring a thermometer. Please click here for the Term 3 class time-table. Please click on the following link for the Parents' Letter for the respective levels. 9 May 16: The latest issue of CHR Highlights is out! 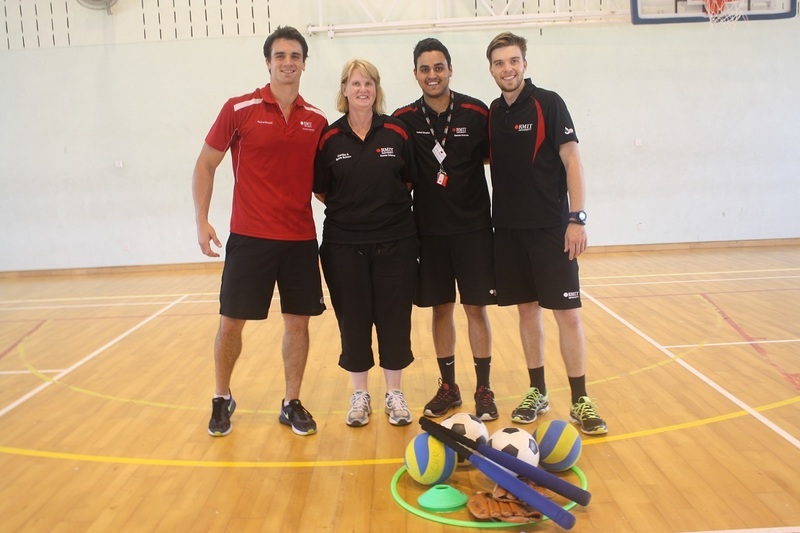 Find out more about our school activities over the past few of months here ! Please click here to read about the Safety Measure during Hot Weather. Please click here to read about the school's letter to parents on the road safety of the students. 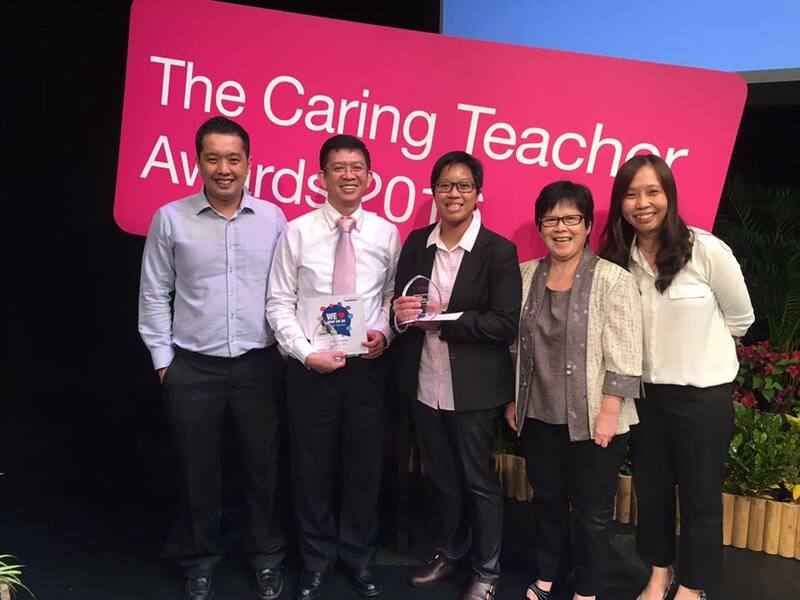 11 April 16: Caring Teacher Award 2016! Congratulations to our teacher, Miss Lee Han for being awarded the Caring Teacher Award 2016 which is co-organised by National Institute of Education and ExxonMobil Asia Pacific. Please click on this link for updated CHINGAY session. 12 Jan 16: Nominate a teacher for OYEA 2016! Nominations for the Outstanding Youth in Education (OYEA) 2016 are open from Monday, 9 November 2015 to Friday, 15 January 2016! CHR would like to invite you to celebrate your child/ward finishing his/her secondary school education as signified by the collection of his/her ‘O’ Level results on 11 Jan at 2:00pm. He/she is expected to appear in school in the proper school attire of shirt, pants/skirts, socks and shoes with a proper haircut. In addition, no coloured or dyed hair will be accepted. We wish your child all the best in his/her achievement. Thank you. Sec 2 – 5 students are reminded to report to school on 4 Jan 2016 in full school uniform. Sec 1 students are to report in the school PE attire. Please assemble in the Parade Square and be seated with your respective class by 7.20 am. Before you assemble, do check your class allocation on the class lists pasted in the canteen. School hours for Sec 2 to 5 students on 4 Jan 2016 are from 7.20 am to 12.40 pm. Sec 1 students will be dismissed at 5pm after the Chingay practice. Students are reminded to submit their 2015 holiday homework on Mon, 4 Jan 2016. 1. The assignment grades will make up 10% of CA1 in 2016. 2. Students who fail to submit their homework on the 1st day of school will need to stay back after school to complete their assignment. CHR would like to invite you to celebrate your child/ward finishing his/her secondary school education as signified by the collection of his/her ‘N’ Level results on 17 Dec at 2:00pm. He/she is expected to appear in school in the proper school attire of shirt, pants/skirts, socks and shoes with a proper haircut. In addition, no coloured or dyed hair will be accepted. We wish your child all the best in his/her achievement. Thank you. Dear parents, please kindly book the slots via the LMS ( https://lms.asknlearn.com/ccss ) from now till 20 Oct. We are looking forward to seeing you to improve in the parent-teacher collaboration to support the holistic development of your child. Nomination for CTA 2016 is now open! We would like to invite you to nominate deserving teacher/s who have demonstrated exemplary character, initiative, integrity, altruism and a proven record of service to their schools and students. Please submit by post to school OR deposit into a box placed outside the General Office. Following NEA's 7pm forecast that the 24-hour PSI for 25 September is in the mid to high section of the "Very Unhealthy" range and may enter the low end of the hazardous range, MOE, in consultation with MOH, has made the decision to close all primary and secondary schools on 25 September 2015. Lessons will be suspended. 20 Aug 15: The 2nd Issue of CHR Partnership E-Newsletter in new format is out now! Please click here for your reading. 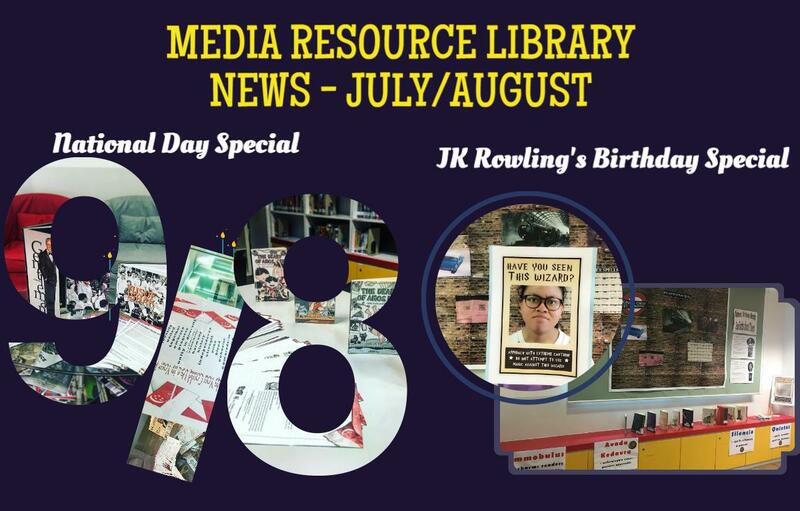 19 Aug 15: The latest CHR Highlights Issue 3 is out! Click on this link to access the newsletter! Youth Day will be on 26 July 2015 instead of 5 July 2015, in conjunction with Youth Celebrate! 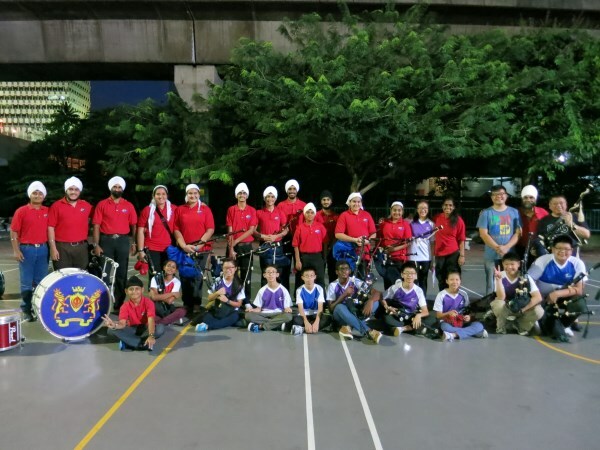 – a showcase of youth achievement in sports, uniformed groups and performances arts at the Sports Hub. The following Monday, 27 July 2015, will be a scheduled school holiday. Please refer to the link to download the Term 3 class timetable for the students. Five awards are given out annually to ex-CHRians studying in Institution of Higher Learning like ITE, JC, Tertiary Institutes and Polytechnics. Please refer to the criteria and download the application form should you wish to apply for the above-mentioned award. All completed form should be sent via post to Christ Church Secondary School, 20 Woodlands Drive 17, Singapore 737924. Please indicate ‘Alumni Mustard Seed Bursary Award’ on the envelope. All application has to reach the school by the closing date, 5 May, 2015 (Tuesday). This year’s Chinese New Year falls on 19th February 2015, Thursday. The school will be celebrating this festive season on the 18th February 2015 , Wednesday. 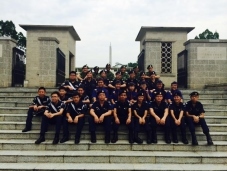 The Chinese Unit is organising a concert with the theme on “三‘羊’开泰” ( sān yáng kāi tài ). To put it simply, it means “Blessings for an Abundant New Year”. Students will report to school as usual the celebration will end at 10:30am. 1st Issue of CHR Partnerships E-Newsletter is published on the publication page of school website now. We would like you to know our school programmes and hope you can join us in some of the programmes, for example, please visit the school on 14 March to celebrate with us in our SG 50 CHR 'Chingay and Me' Exhibition. Dear Parents, click on the links below for the briefing slides for the Sec 4&5 MTP last Sat, 31 Jan.
CHR welcomes staff and students from RMIT University, Melbourne, Australia. 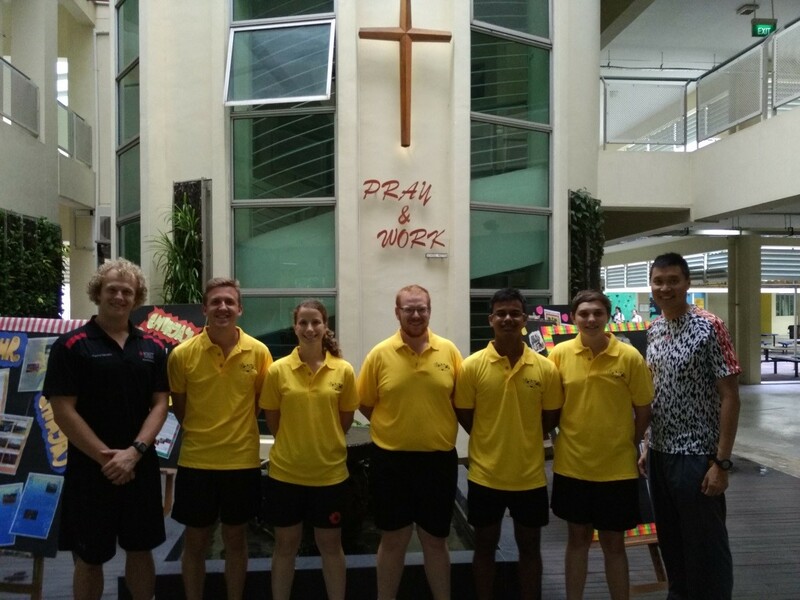 Mr Randy Senn and Mr Zac Parr are attached to CHR PE dept from 12 Jan to 6 Feb 15. The President's Award for Teachers (PAT) is back for the 18th year. This award recognises excellent teachers for their dedication and hard work in developing our young. Nomination forms can be downloaded from the website of the Academy of Singapore Teachers . Nominations can also be made online at the Academy's website. Closing date for nominations is Tuesday, 24 Feb 2015. Click here to view/download the updated Chingay schedule. Students are reminded to report to school on 2 Jan 2015 in full school uniform. Please be in school by 7.20 am, assemble and be seated with your respective class by 7.25 am. Before you assemble, do check your class allocation on the class lists pasted on boards around the outdoor classroom. Morning assembly for Sec 1 and 2 students is in the HALL; Sec 3, 4 and 5 will assembly at the PARADE SQUARE. School hours for Sec 2 to 5 students on 2 Jan 2015 are from 7.20 am to 12.40 pm. Students are reminded to submit their 2014 Year-end Homework on Fri, 2 Jan 2015. 1. The homework grades will make up 15% of 2015 CA1 marks. This is to emphasise the importance of consistent effort. 2. Students who fail to submit their homework on 2 Jan 2015 will need to stay back after school on 6 Jan 2015 to complete their work. 1. Students who are posted to Christ Church Secondary School are to report at 8.30am at the school's canteen. 2. Students should report in their Primary School uniform. 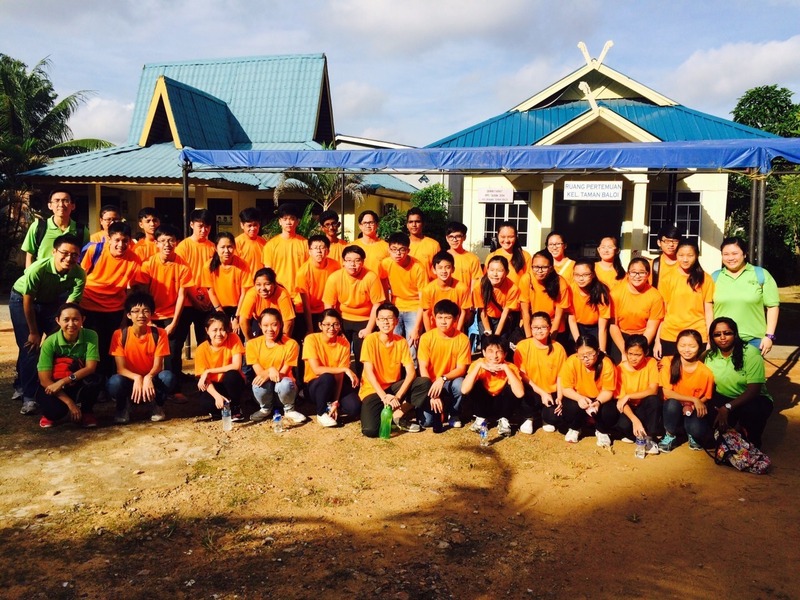 A group of 37 UG students and 7 staff went on a community eye care project at Batam (24 - 26 Nov 14). It was a successful project and a rewarding experience for the whole group. More photos can be viewed in the Photo Gallery (Publications). 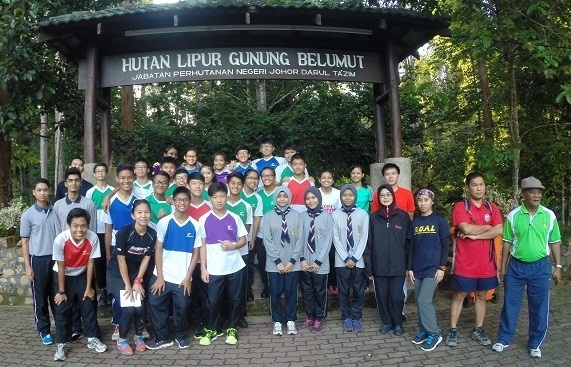 A group of 22 students and 6 staff successfully completed the Mt Belumut, Malaysia expedition from 24 - 26 Nov 14. Congratulations and well done to our Sec 3 NCC boys who defeated their opponents in 7 matches and was emerged as the Champion in the NCC Mini League (Football). 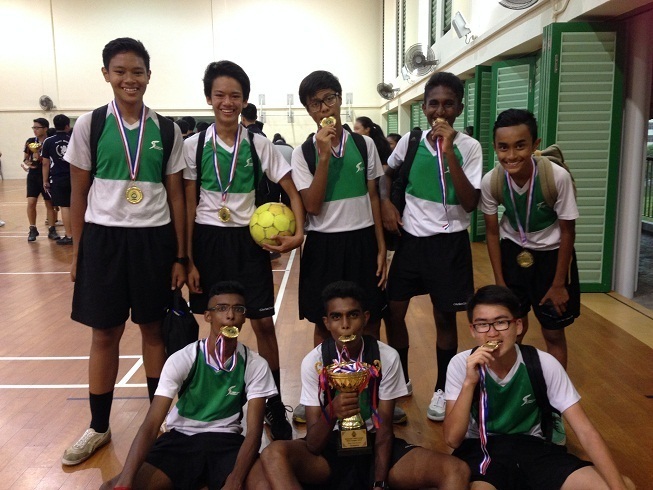 The Mini League is an Inter-District Sports Competition whereby 182 units compete with each other in Captain's Ball (Sec 1), Basketball (Sec 2) and Football (Sec 3). 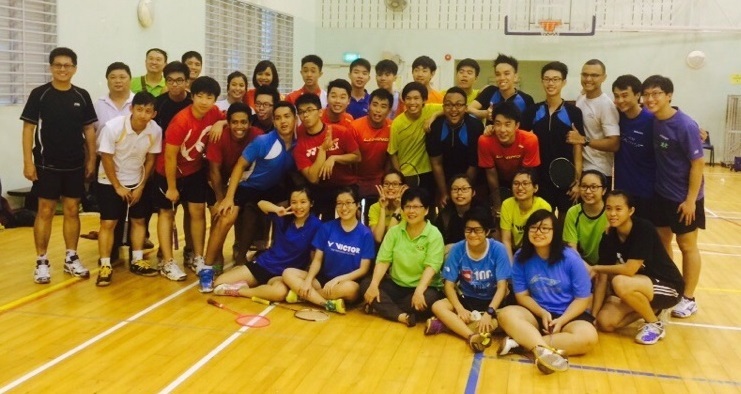 Our CHR Badminton and Basketball Alumni Games Day was successfully held on Sat, 22 Nov 2014. 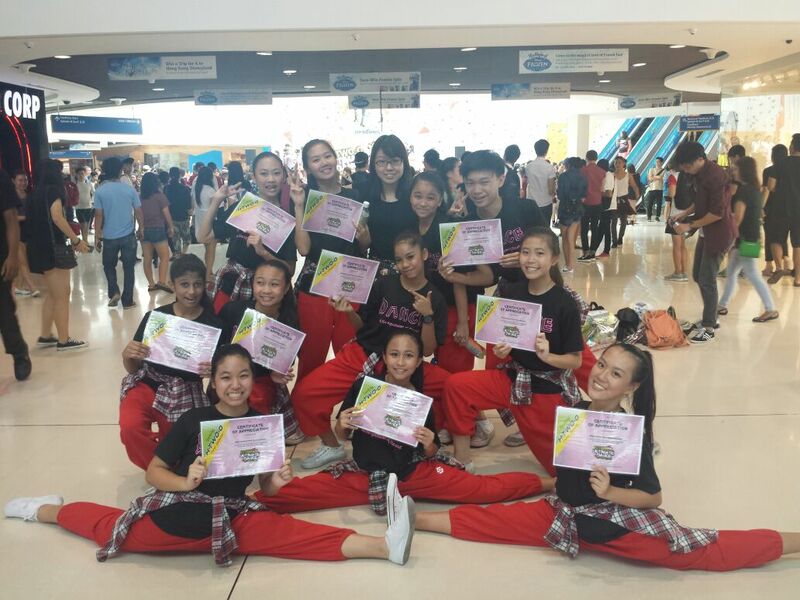 Well done to our CHR Modern Dancers for their successful performance at the H2O Ultimate Dance Challenge at Kallang Wave Mall on Sat, 22 Nov 2014. 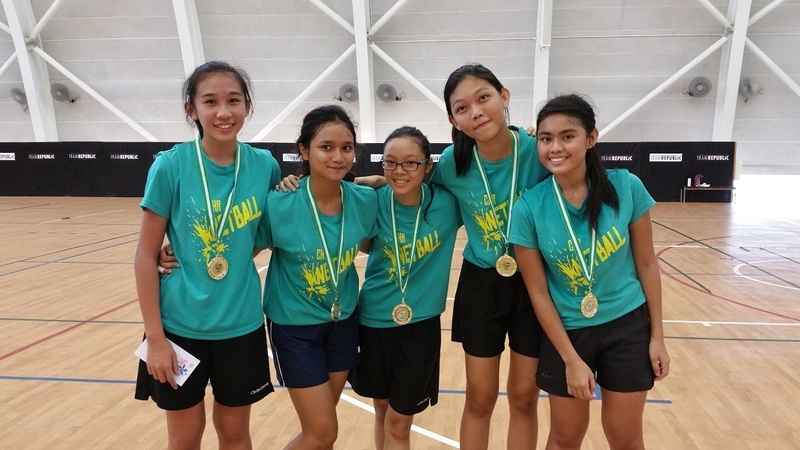 Congratulations and well done to our netball girls who came in 1st in the RP-Sembawang CSC Street Netball Carnival (U16 Schools Category) held on Sat, 22 Nov 2014. Well done to all our Performing Arts students for putting up a great performance at SOTA on Fri, 21 Nov 2014. 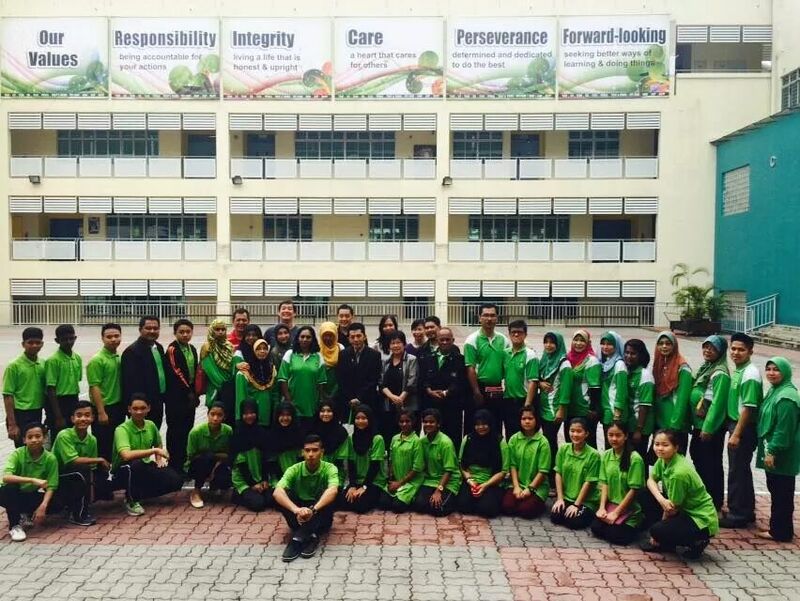 CHR welcomes the staff and students from SMK Sultan Abdul Jalil, Kluang, Malaysia on 21 Nov 2014. Please help the school to do a SEM survey. It can be found in your Inbox in the LMS ( https://lms.asknlearn.com/ccss ). This is to help the school to get feedback on the school's facilities/discipline/ and services by the canteen/bookshop vendor etc. Application to Mustard Seed Bursary Award offered by CHR Alumni is open now. Kindly refer to the criteria and download the application form should you want to apply. All completed application form should be sent via post to Christ Church Secondary School, 20 Woodlands Drive 17, Singapore 737924. Please indicate 'Alumni Mustard Seed Bursary Award'. The closing date will be announced next year in January for existing ex-CHRians and again in April for new batch of ex-CHRians who will enter their respective institutions of higher learning next year. Please join CHR Alumni as its Youth-Wing member (age 17 year & above but strictly below 21 years old) for future updates and news. Please be informed that Woodlands Drive 17 towards Christ Church Secondary School will be diverted to approximately 60 meters down Woodlands Ave 1(closer to Woodlands Avenue 12) with effect from Friday 12 Sept 2014. For further details, please refer to the PDF file . CHR welcomes delegates from Chiayi City, Taiwan, led by Mayor Huang on 16 Aug 14. The CHR Alumni AGM will be held on 16 Aug 2014 at Christ Church Sec Sch DIC (Drop-In-Centre) 2pm. AGM letter and nomination form had been sent out weeks ago to all Ordinary/Life members of CHR Alumni. For further details, click here . Ex-CHRians are welcome to join as Ordinary Member / Life Member of CHR Alumni. Please download application form to enrol. This event is open to the public and is an opportunity for parents to build rapport and bond with their child & others. Do pop by for this exciting event if you can. CHR Partnerships E-Newsletter Issue 3 is out and is about awards that are sponsored by CHR partners and students who clinched those awards. Christ Church Secondary School. 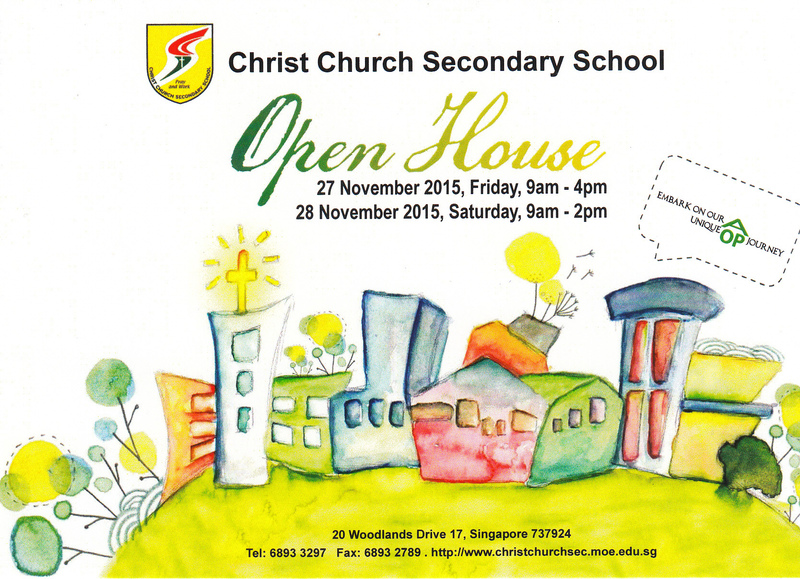 20, Woodlands Drive 17 Singapore 737924, Tel: 6893 3297 Fax: 6893 2789 or email us at ccss@moe.edu.sg. All Rights Reserved.